To request customization send your request in message. In favor or decoration. 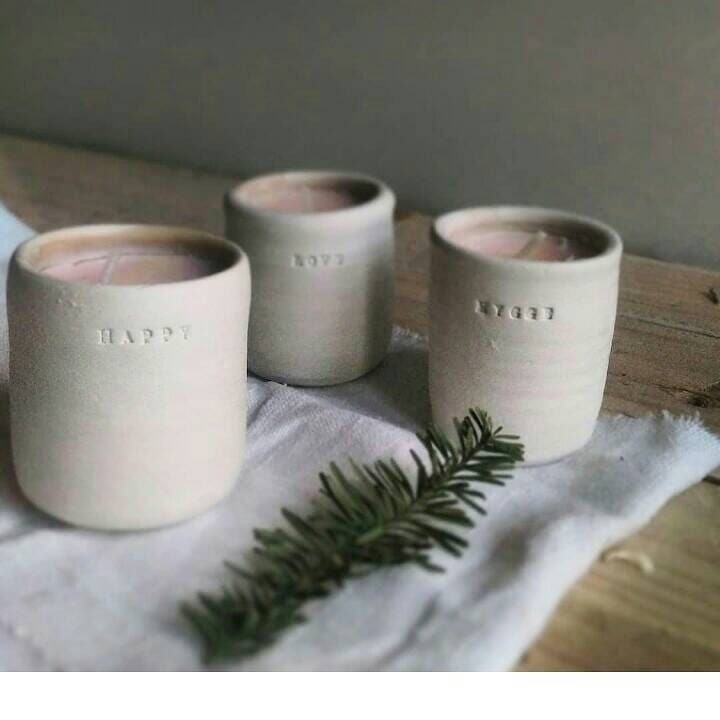 they bring a touch very hygge to your home. Jar in white earthenware, made by hand on a Potter's wheel. The ceramic is rough on the outside and glazed inside. You can request to customize the word, have a name I'll do with letters to hit old. 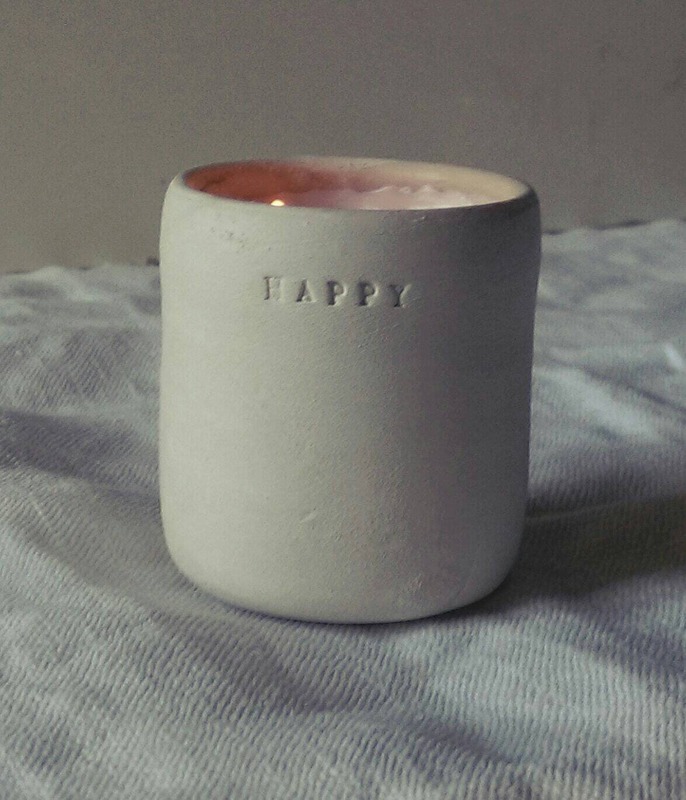 The candle is made by me in soy wax, and are scented with organic essential oils. Sweet orange, bark cinnamon, eucalyptus, FIR... you choose.